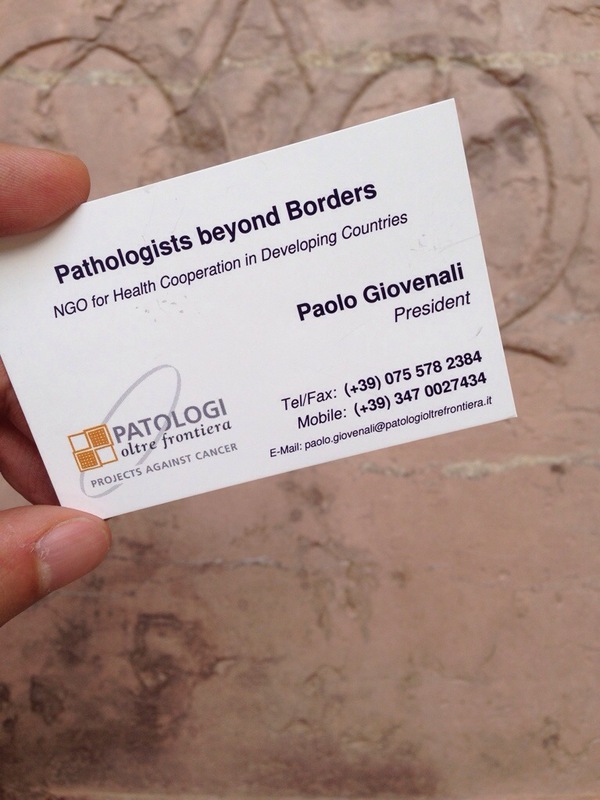 Patologi Oltre Frontiera (Pathologists Beyond Borders) is a non-governmental association founded in Venice in 1999 with the aim of realizing projects for developing pathological anatomy and oncologic diagnostics in the South of the world. Born for an initiative of a group of Anatomic pathologists, members of the Committee of the International activities of SIAPEC (Società Italiana di Anatomia Patologica e Citologica Diagnostica – the Italian Society of Anatomic Pathology and Diagnostic Cytopathology), began in the same year its activity, taking part in a project aimed at creating a Patologic anatomy Service in Tanzania, proposed by the “Associazione Cultura e solidarietà Vittorio Tisòn”. In 2001 Patologi Oltre Frontiera was officially acknowledged as ONLUS, while in 2006, following the acknowledgement of the Ministry of foreign affairs, was included in the list of qualified non governmental organizations. For a decade, Patologi Oltre Frontiera has been realizing projects in Africa, Latin America, Europe and Middle East. Furthermore, in these years, it has been underwriting partnership agreements with different institutional and association realities, both National and Territorial, Italian and Foreign realities.